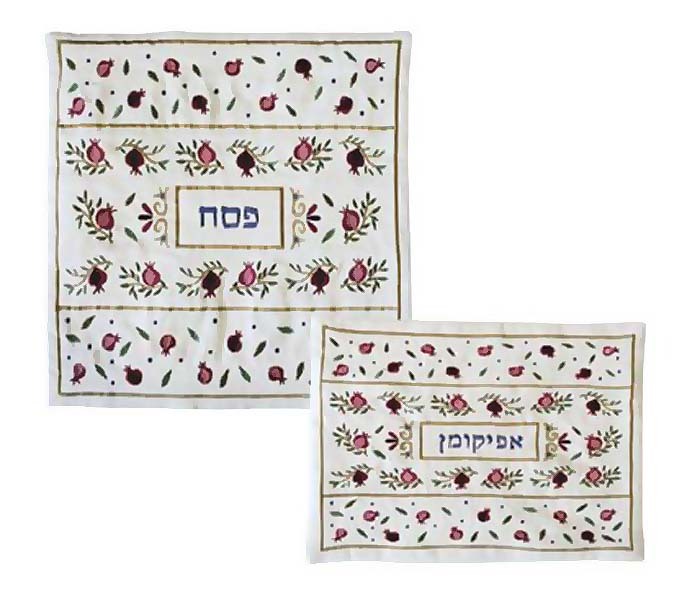 Beautifully embroidered square Matzah cover comes with a matching embroidered Afikomen bag. Designed by Yair Emanuel, this set will add a colorful touch to your Pesach Seder table. This square matzah cover has a colorful embroidered pattern of pomegranates surrounding the word Pesach in Hebrew. The matching Afikomen bag has the word Afikomen in Hebrew in the center. Hand-wash after use.